Four out of nine anti-fracking campaigners have been found guilty of obstruction of the highway after a six day trial at Brighton Magistrate’s Court. Those convicted included an ex-oil and gas industry worker who had become disillusioned with companies seeking profit at the expense of the environment. Five others were acquitted of all charges. Update: a further five activists (including Green Party MP Caroline Lucas) were found not guilty of all charges on April 17 2014. The defendants were arrested on the main action day of the Reclaim the Power mass protests against Cuadrilla’s exploratory drilling at Balcombe last summer. The four who were convicted were blockading the road outside the main gate to the Cuadrilla site. The day of action on 19th August came several weeks after activists had set up a ‘Community Protection Camp’ outside Cuadrilla’s drill site in Sussex. The camp had been reinforced by hundreds of protesters from ‘Reclaim the Power’ who planned to carry out actions over the bank holiday weekend. In the run up to the camp Cuadrilla announced that they were suspending drilling over the weekend. However, during the case, Leon Jennings, Cuadrilla’s Health, Safety, Security and Environment Director said that although the company had planned to stop “taking rock samples” at the site from the 16th-21st of August 2013 it had been necessary to keep the drill turning over the weekend to “keep the mudflow going” as otherwise their “2000 foot well… could collapse”. The company kept a “trimmed down” team of staff and “27 G4S guards working 12 hour shifts” at the site. Jennings claimed that this skeleton staff team was disrupted by the blockaders. Police used the increase in protester numbers to justify imposing an order under Section 14 of the Public Order Act 1984. The act is a repressive piece of legislation that allows police to impose conditions on demonstrations if they pose a significant ‘risk’ to the ‘life of the community’. Police planned to corral protesters in a ‘designated protest area’, up the road from the Cuadrilla site. Far from threatening the life of the community, the demonstration was in solidarity with the community in resisting Cuadrilla, whose drilling was widely opposed because of its potential effects on the environment. In fact the police’s Section 14 was aimed at protecting Cuadrilla’s profits. Police officers gave evidence in court to justify the use of force and the imposition of the draconian restrictions on the protest. Superintendent Jane Derrick, the ‘Silver Commander’ for police operations ‘Staid’ and ‘Mansell’ aimed at countering the protests said that the use of the Section 14 measures were authorised as police had been informed that there were individuals within the Reclaim the Power camp with the “skills to make an incursion into the site” and they had “open-source” evidence (in other words they read on the web) that there had been a direct action workshop at the camp. She outlined, in grindingly boring detail, how the police had filled out risk-assessments and consulted with a human rights lawyer before imposing the Section 14 order. In fact the police’s explanations were a simple box-ticking exercise to concoct a justification for the use of violence and arrests. The aims of the policing operation, in fact, were to create a climate of fear to intimidate protesters and prevent the anti-fracking movement from getting any stronger. Police had been in meetings with Cuadrilla since the start of the protests (if not before) and would have been concerned that support for the protests was growing. On the morning of the 19th August 2013 the presence of the G4S guards and hundreds of police at the site did not prevent activists from setting up a blockade outside the Cuadrilla gates. Activists sat in the road and locked themselves together using arm tubes. The locked on activists were soon joined by supporters from the two anti-fracking camps. Several other actions happened during the day including at the head offices of Cuadrilla and at Bell Pottinger, their public relations company. Superintendent Derrick told the court that she and Chief Inspector Blaker authorised the use of force to remove the group of protesters and their supporters outside the gates. Officers were given the go-ahead to strike protesters to clear the gate. Teams of officers moved in and applied painful ‘pressure pointing’ techniques to try and move the demonstrators. One activist told the court that he fainted as a result. The locked on activists and five of their supporters were all arrested by 5pm. All were eventually charged with obstructing the highway and breach of the Section 14 order. All of this was played out in front of TV cameras. However, if the police were hoping that this public display of repression would deter people from getting involved in the movement against fracking they were mistaken. Despite over 120 arrests during the 2 months that the Balcombe Community Protection Camp was in place the resistance, which included regular blockades and direct action, significantly delayed Cuadrilla’s work. The company’s planning permission expired in September 2013 and they left the site on September 28th having dug their well but without beginning testing. It is estimated that the policing costs amounted to £3.7 million during the course of the protests. The defendants had challenged the legality of the police’s imposition of Section 14 restrictions on the protest. However, Judge Ashworth side-stepped making a ruling on this by finding defendants not guilty of breaching the Section 14 order on the grounds that they had not been properly informed of the terms of the order. He said that the state had to put up with some disruption of the highway but that those who locked on had committed obstruction by refusing to move when they could have done. Two of those convicted were given 12 month conditional discharges and ordered to pay £300 in court costs. Barrie Slipper was also ordered to pay a £200 fine. Barrie Slipper, who has worked for Exxon, BP, Shell and Amoco as an instrument engineeer, told Corporate Watch: “This was my first direct action against the industry I have worked for all my life… I became disillusioned in the ’90s when it became clear there was a high price to pay for for our use of fossil fuels. I became dismayed at the failure of successive climate talks to agree any effective reduction of emissions and the oil majors open denial of the science linking carbon emissions and climate change. The knowledge that Exxon Mobil had been funding climate denial organisations prompted me to take early retirement from the industry. Today, when we know that 80% of proven resources of fossil fuels must be left in the ground, the fossil fools are exploring for more of the stuff – tar sands tight oil, the Arctic, fracking. Fracking is a dangerous folly, its is a diversion on the route to a renewable energy future and one that will industrialise the countryside, pollute water sources, contaminate communities and discourage investment in renewables. “We are a group of individuals, from all different walks of life, who came from all over England to the Cuadrilla fracking site in Balcombe on August 19th 2013, during the “Reclaim the Power” camp. Our aim was to show solidarity with the local people of Sussex and raise awareness of the dangers of fracking and climate change. During our peaceful and positive protest, sitting as a symbolic protest outside the gates to the Cuadrilla drilling site, which had lasted over five hours, we were arrested while singing “We Shall Not Be Moved”. Last Monday as our six day trial began, it was not lost on us as we sat in the dock that this was the date the IPCC published its latest report on climate change. Climate change, says the report, is happening now. War, famine, drought and floods are forecast. Undoubtedly time is running out. We need long term solutions to energy requirements and climate change. And we need them now. We need to commit to wholesale uptake of solar, wind and tidal power. We can also generate gas from anaerobic digestion. But the British government appears wilfully blind to the urgency of the situation. Driven by an ideology of climate change denial, and it seeks to commit us to an unsustainable fossil fuelled future. In protecting their personal vested interests, in utter defiance of the scientific facts, they create tax incentives for their fracking pals and now they want to change the law so that they can frack under our homes without our permission. Already homes near potential frack sites have lost value. Some have been damaged and are difficult to insure. The government tells us gas prices will be lower and jobs created, but neither of these statements are correct. Fracking causes substantial methane leakage from wells and pipelines. As a source for energy, fracked gas is as damaging to the atmosphere as using dirty coal. The British government has made two thirds of the country available to be fracked. With upwards of 40,000 wells anticipated, this heralds the widespread industrialisation of the British countryside. Our land and waterways will be polluted. Our livestock and our wildlife, our pets and our people, may experience declining health. This is why we came to Balcombe. This is why we protest. Standing trial for our actions gave us a lot of time to think and to talk. And what we say is this: On 19th August none of us planned to get arrested. We never wished to find ourselves in a criminal court having to defend our position. But it happened. And this attempt to silence our dissent will not stop us. We will all continue our protest until fracking and all other forms of extreme energy extraction are banned in the UK as in France, Romania and some states in Germany. IGas Energy, who describe themselves as a “leading British oil and gas explorer and developer”, are facing resistance to their exploratory drilling in Barton Moss from an action camp. Information about the campaign can be found at the Northern Gas Gala website at http://northerngasgala.org.uk/. Yet another camp has been set up to resist Dart Energy in Daneshill, Nottinghamshire. 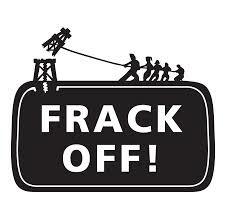 For more information about anti-fracking movements in the UK see www.frack-off.org.